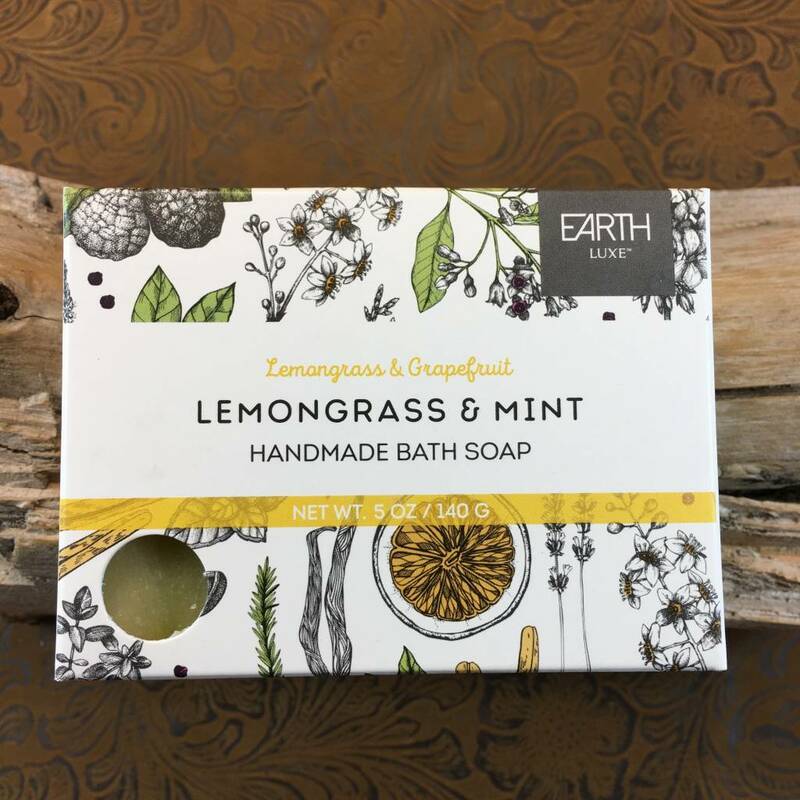 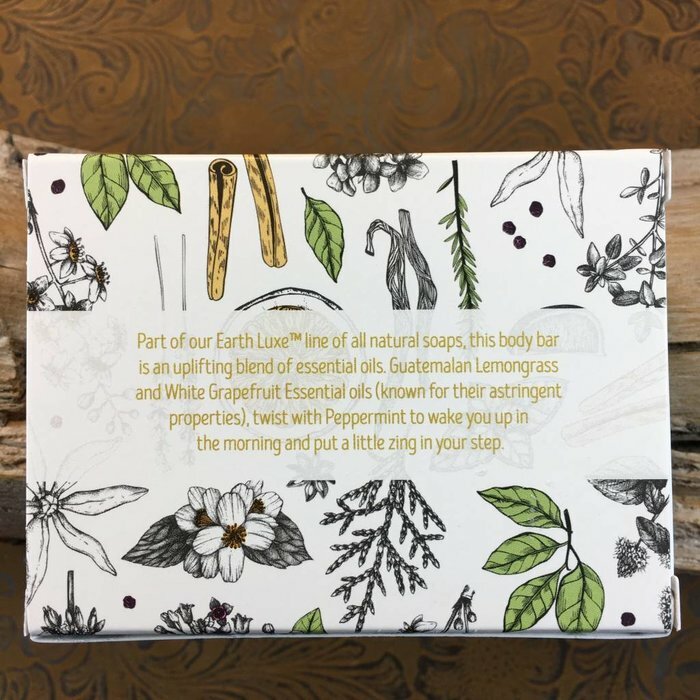 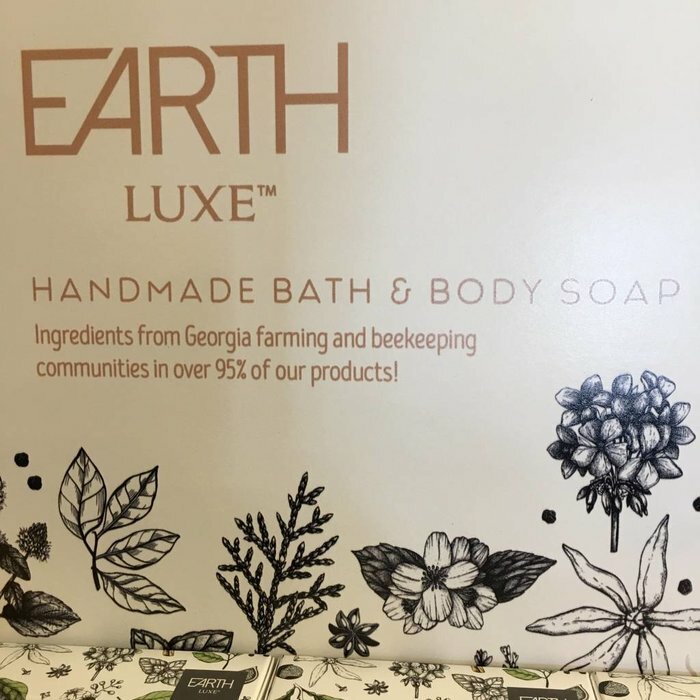 Made with farm fresh ingredients from local farmers, Earth Luxe Lemongrass & Mint All Natural Soap has an invigorating citrus scent and astringent properties that makes it the perfect way to start your day! Made with farm fresh ingredients from local farmers, Earth Luxe Lemongrass & Mint All Natural Soap has an invigorating citrus scent and astringent properties that makes it the perfect way to start your day! 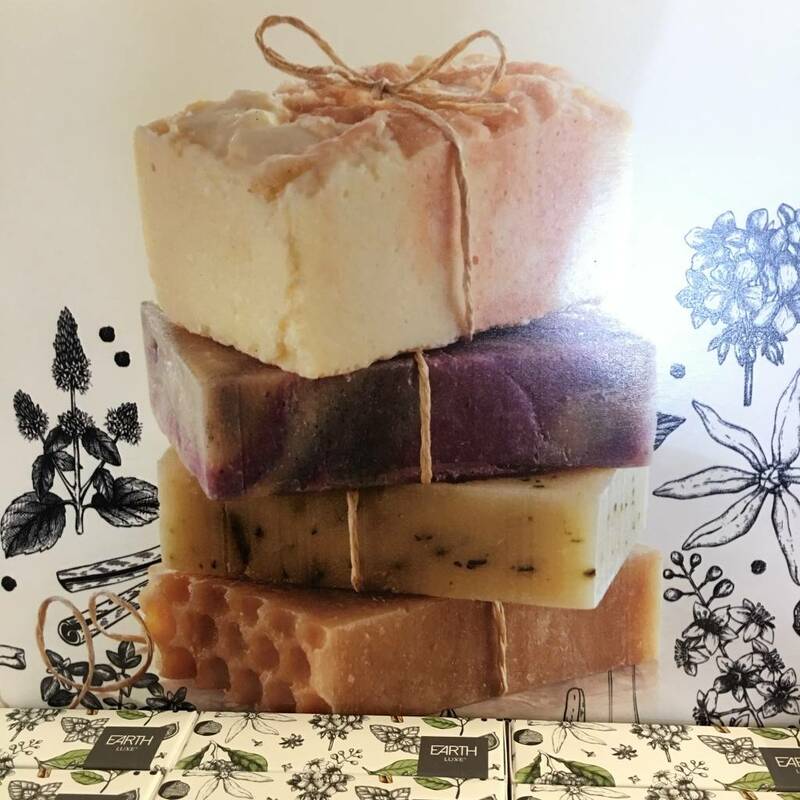 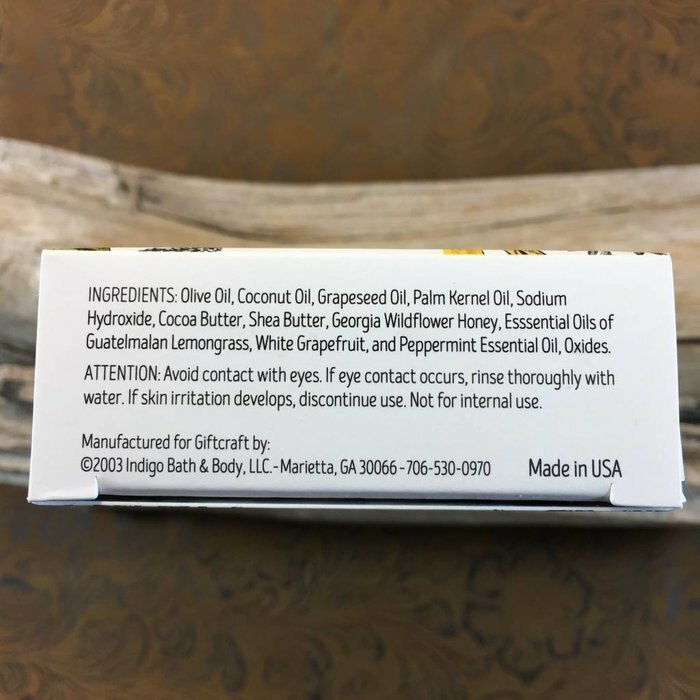 This all natural soap offers a blend of olive oil, coconut oil, grapeseed oil, palm kernel oil, sodium hydroxide, cocoa butter, shea butter, Georgia wildflower honey, Guatemalan lemongrass essential oil, white grapefruit essential oil, and peppermint essential oil.